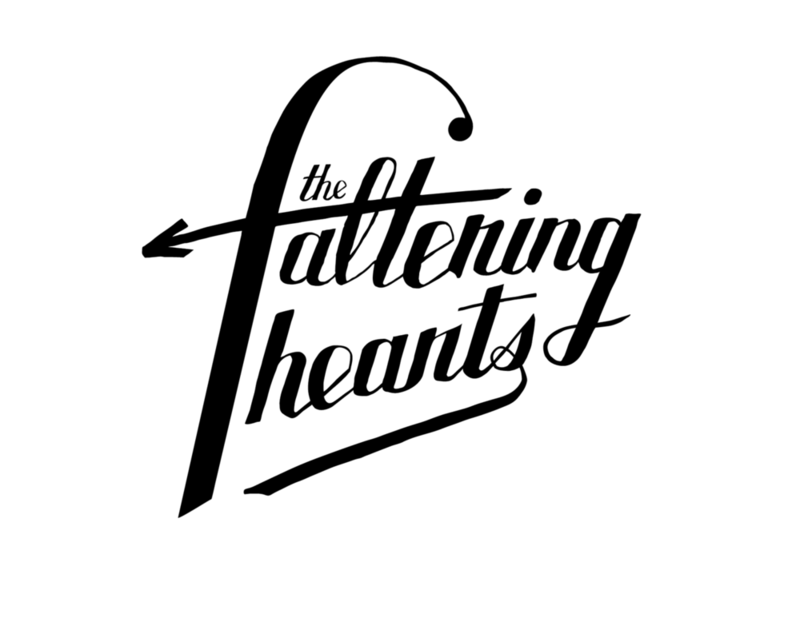 The Faltering Hearts, a ukulele trio of women, approached me to design a logo for them. Their previous logos had been clichéd, obvious approaches based on hearts, usually accompanied by overly-decorative typefaces. 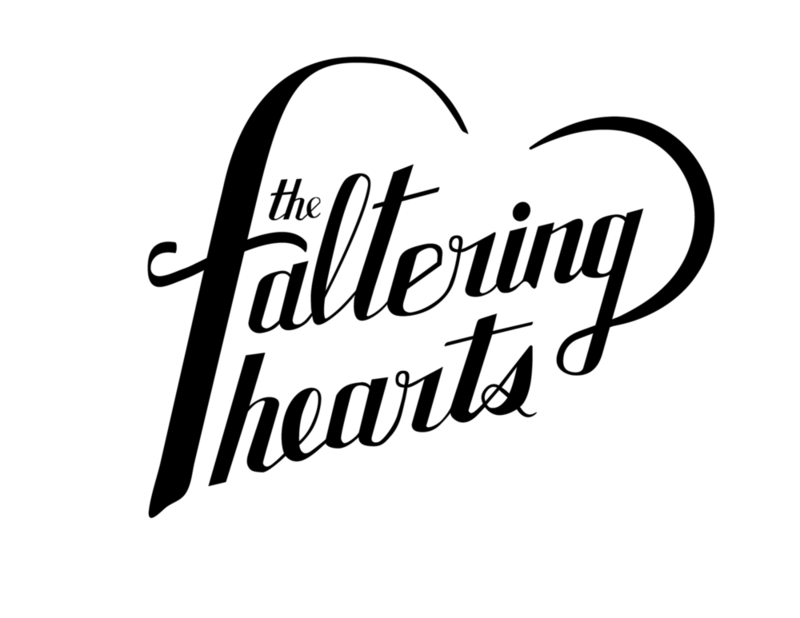 Because the Faltering Hearts are so unique, I suggested a hand-lettered approach to make the logotype feel human, distinctive and warm. My initial sketch had the lettering framed within a heart shape; however, I wanted to avoid the obvious solution. 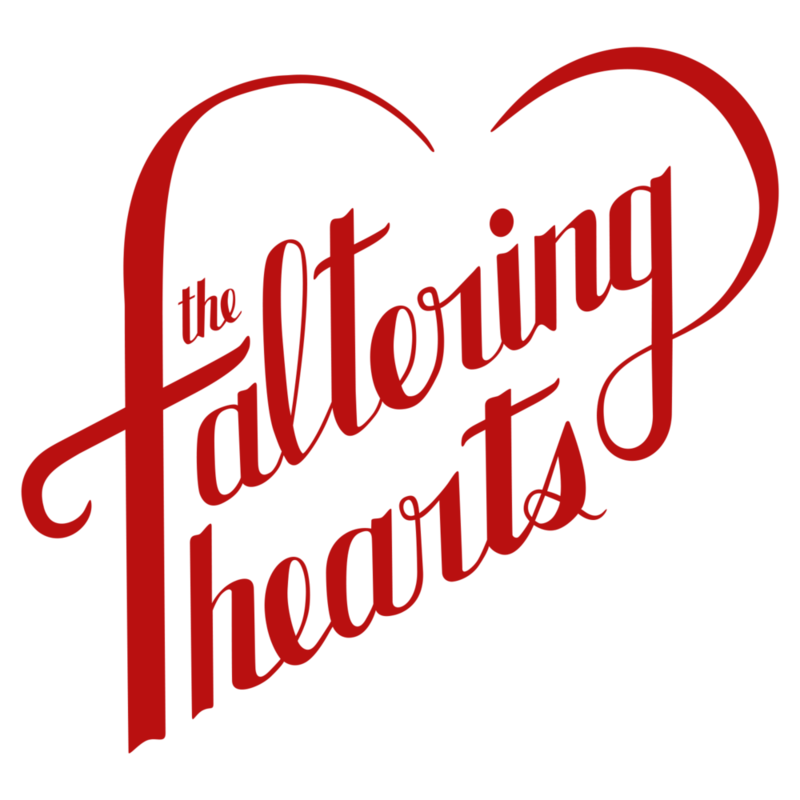 As such, the design problem became one of having the lettering suggest a heart subtly and naturally. With that sketch as reference, I made a number of larger drawings on tracing paper. Doing so allowed me to iterate quickly and recognise a number of awkward problems – like the crossbar of the "F" and the shape of the "R" making the word look like "fattening" instead of faltering! With a decent sketch completed, I did a very rough trace in Illustrator and then began to refine the letterforms. New G swash and revised F crossbar.